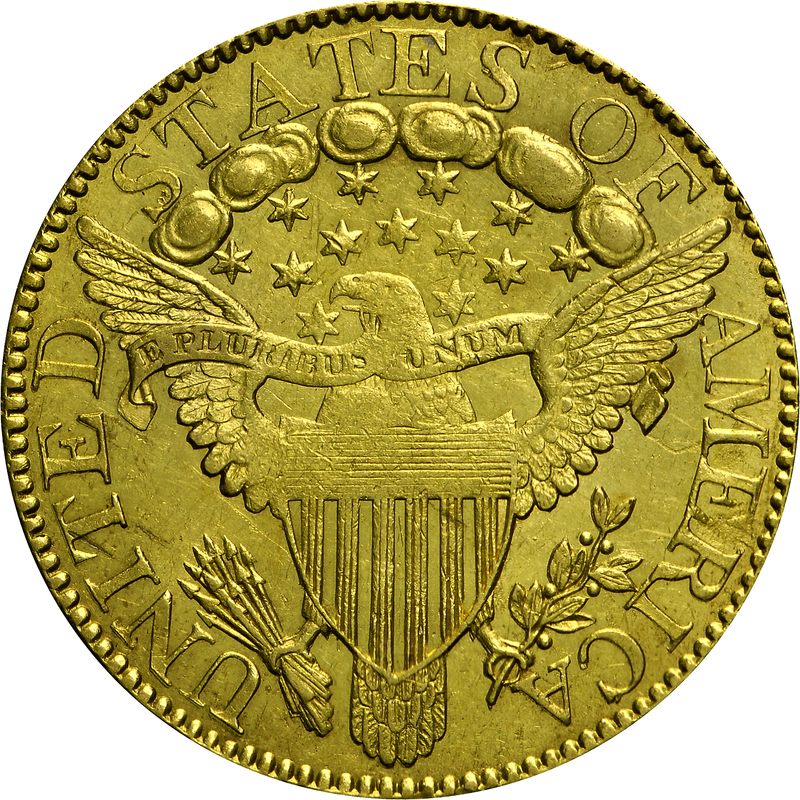 This example was minted from obverse die 1 as described by Walter Breen; however, the reverse does not match any of his descriptions. This is clearly not reverse A, since the D in UNITED is complete rather than lacking its serifs as on reverse A. An example of reverse B is displayed at HBCC-3097, with this reverse clearly different. This may be reverse C, which has only a brief and sketchy description in Breen’s monograph. Reverse D calls for the opening between clouds to be right of center below E in STATES. Finally, reverse E has the 12 th star differently positioned. 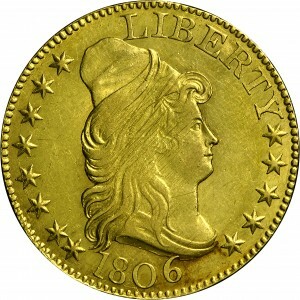 "Obverse: Pointed 6. No left base serif of 1. Top serif barely overlies curl. Point of 6 barely overlies bust. Bottom curl left missing. Star 1 very close to curl remnant, and touches star 2 at its inner point. 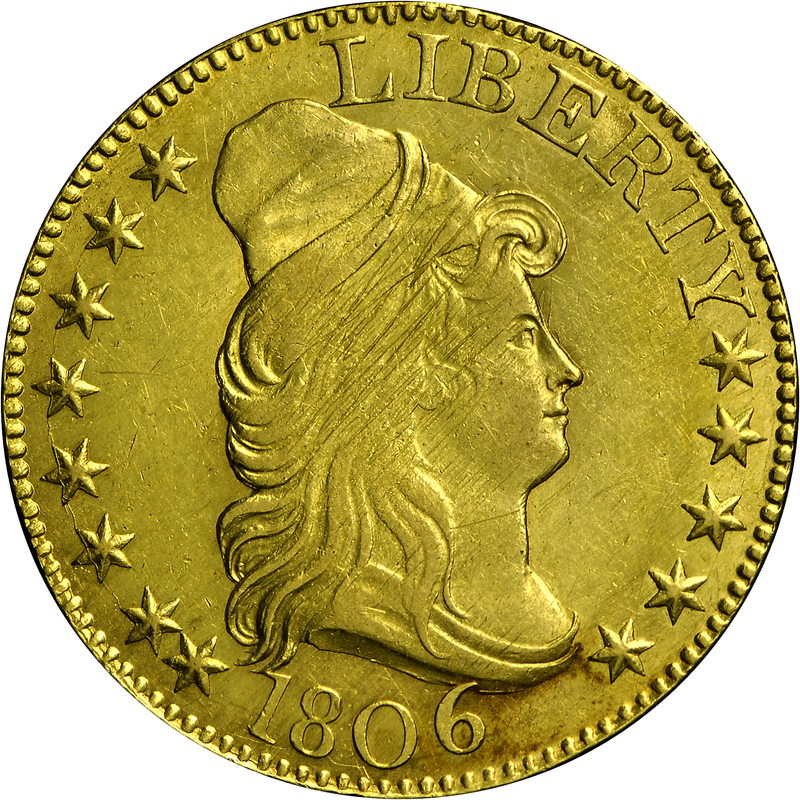 Wide date spaced 180 6, with base of 6 high relative to bases of 180. Star 13 leftmost point very close to bust. Large lettered LIBERTY, perfect T. IB touch at base serifs. Light cracks thru stars 1 - 8. Lapped. 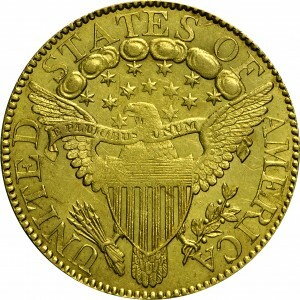 Reverse: New large letters legend, save for As in AMERICA, which are from the old punch. One arrowhead tip aligned with outer side of N's right upright. Cloud space just left of being centered under upright of E(S). Right half of base of F rests on cloud. (U)N lacks right serif of left upright (as on preceding small N punch)! Normal Ts."